ScienceandMath.com was created by Jason Gibson in 2004. His mission, "to kindle your love of Science, Math and the world around you!" Jason's award winning videos for math (grades 4th -12th as well as college) and amazing science are very educational, fun and interactive. They not only help you learn about math and science, but they also show you how they fit together! Jason has a MS in Electrical Engineering & one in Physics, and has worked for NASA for several years prior to leaving to work on his video series. We received a copy of the Amazing Science! Volume 1 DVD set to review. We are a very hands on family when it comes to science...well any subject really. Science just makes more sense and comes to life wheyn you do science experiments. I have no fear about experiments and love exploring, learning and getting messy with my children...but I have some friends and readers who are very apprehensive about science exploration and Amazing Science can totally change that! The Amazing Science! 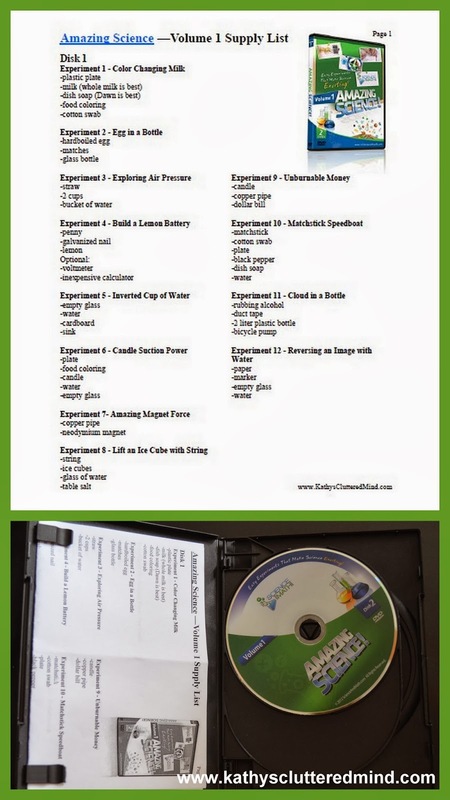 DVD set contains 2 DVDs with a total of 23 experiments. Jason takes his passion for how things work and shows families that by using a few simple materials you can learn a great deal about science in your own home through easy and fun experiments. The DVDs are recommended for children in grades 1st-3rd, however slightly younger and older can definitely benefit from these as well. They are also very affordable and cost about the same price as a movie DVD. Throughout these DVDs you will learn about heat, electricity, magnetism, temperature, buoyancy, surface tension and more. Each of the experiments uses easy to find materials, many of which you probably already have laying around the house. The videos are high quality, have great sound and use multiple camera views making it easy to see exactly what happens and what you need to do to complete the experiment yourself. Jason goes above and beyond just the experiment though. He also explains the how's and why's for each experiment in a step-by-step fashion. This is because it shows children that science doesn't have to be overly complicated and full of really big words that make no sense. Jason's instructions, descriptions and explanations are very clear and easy to understand. He also takes time to explain safety precautions as well like wearing goggles and asking an adult for supervision with fire, etc. You can see the whole list of experiments here as well as watch a few of them too! So for the past several weeks my 6 1/2 and 8 year old have been having a blast with these fun, easy and very educational experiments. About 3-4 times a week we would complete a science experiment though there were many days we completed 2 or more in one day. Each experiment video is about 10-15 minutes long so they are perfect for short attention spans. The actual experiment also takes about the same amount of time...unless your children want to keep doing it over and over again! Many of the experiments my children could do themselves. We have done all but 3 of the experiments and they ALL worked great! 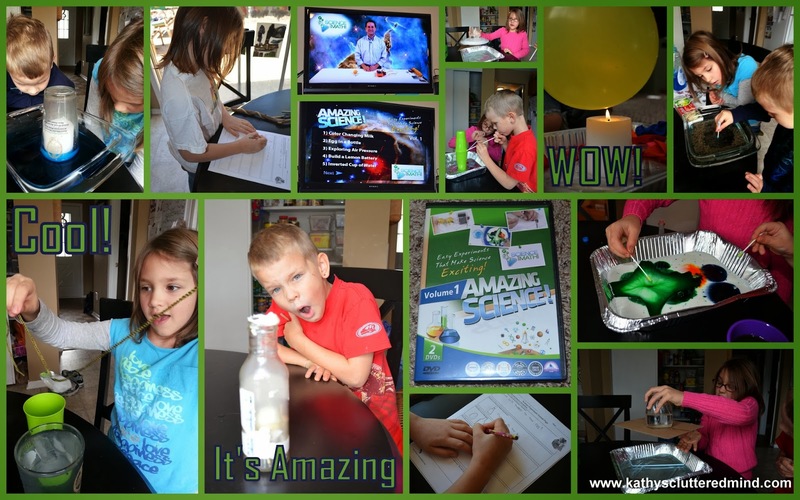 There were a couple of things that I added to Amazing Science to make it easier for our family as well as reinforce what the children were learning. Because I love sharing anything what I create for our family here are the two printables I made. I could not find a supply list on the website so I decided to make my own Amazing Science Supply List to make it a little easier to figure out what we needed to purchase and what we would need each day for the experiments. I cut the margins off the print out and it fits perfectly inside the CD case. Print your own supply list here. 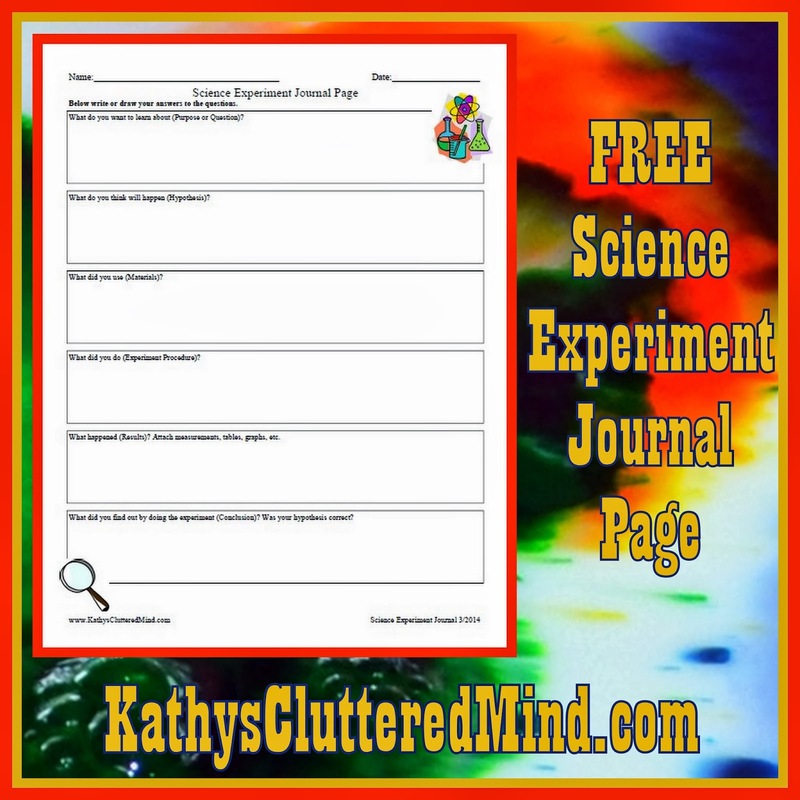 To enhance the lessons and introduce the scientific method to the children I created this science experiment journal page. Children can write or draw their answers. Get yours here for FREE. Be sure to sign-up for FREE videos via email at ScienceandMath.com. Gwyn, "I had lots of fun with the experiments. They were easy and we could do most of them on our own, except the ones with fire. I can't wait to do them again." Rowyn, "I like the matchstick speedboat. It was fun to do science learning. The experiments were super easy." You can purchase the Amazing Science! Volume 1 for just $17.95 which includes both DVD's filled with experiments. Or you can get these great video's immediately by purchasing the downloadable version for $14.99. 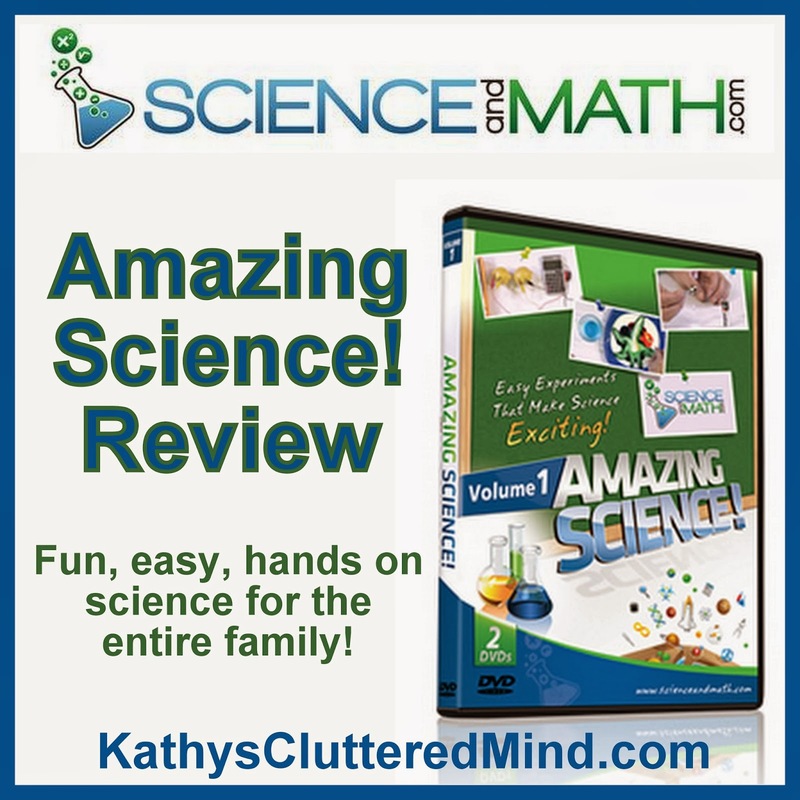 Click here for more ScienceandMath.com reviews from the The Schoolhouse Review Crew.